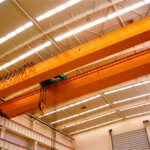 Ellsen double girder overhead hook crane is one of a hot sale overhead bridge crane warmly recognized by our clients as its low-cost price and high working performance. 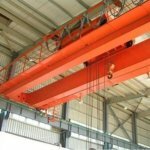 Here below in this post at our official overhead crane blog, the Company will introduce some key technologies it has employed on its crane hook products. 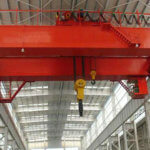 The bridge crane hook is the most widely used device and the main bearing part of the lifting equipment. 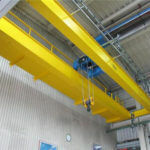 The strength of the hook and the rationality of its design are very important to the safety of the crane.Therefore, the modern finite element analysis method is used to analyze the strength of the hook to find the maximum deformation position of the hook, reveal its stress distribution law and dangerous section, and provide a theoretical basis for the research and design of the hook strength, which has important engineering significance. 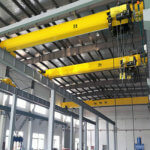 According to the actual working condition, the restraint and load of the crane hook are treated effectively, and the strength of the overhead bridge crane is analyzed by finite element method. The distribution law of the stress and displacement of the hook is obtained, and the dangerous section of the hook is revealed.On the basis of the finite element analysis, the thickness of the hook is optimized under the premise of ensuring the safety of the hook, and the results are compared before and after optimization.After the optimization, the size of the crane hook is more reasonable, and the weight of the hook is reduced.The analysis and optimization results provide a scientific and reasonable basis for the structural design of crane hook. 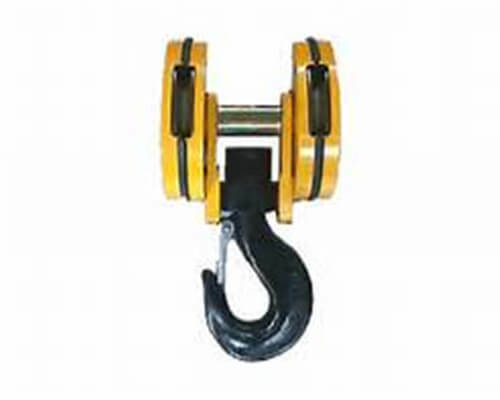 The structure and parameters of the hook are taken as an example of the main lifting straight hook of the 50t/10t bridge crane of a working grade M5 in the actual production, and its structural form is illustrated as shown.The parameters are as follows: single hook, hook number 40, strength grade is M, the maximum thickness of the hook body horizontal section is 200mm, the maximum thickness of the vertical section of the 170mm 150mm. hook shank diameter, the material is DG20Mn, the yield point of the material is 333MPa, tensile strength 510MPa, elastic modulus and Poisson’s ratio of 0.3, E=2.1ellPa, density 7860kg/m3. hook maximum allowable bending stress: hook straight rod part maximum allowable tensile stress: simple structure without a hook. The finite element model of the hook is established. The geometric characteristics of some transition angles have little influence on the strength. In the Ansys, the generation probability of the distorted mesh will be increased, the calculation time will be increased, and the calculation accuracy will be affected. Therefore, the modeling should be simplified.The element type chooses the hexahedron structure element Solidl85., the upper part of the hook straight handle is added to the constraint, and the whole degree of freedom is restrained. 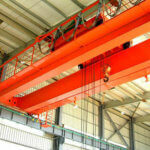 Because of the actual process of hoisting, lifting will swing, the tension of rope hanging and vertical direction have a certain angle, according to the engineering practice and floating rules, this angle should be controlled at about 30 degrees.Therefore, when the hook load reaches the maximum lifting weight of 50t, and the tension angle of the rope is 30 degrees, the hook is at the most unfavorable load limit condition. The diameter of the cable for hanging heavy object is D=28mm, that is, the load acting section is about D and the maximum thickness of the middle vertical section of the hook.The load acting on the hook of the suspended cargo rope is simulated by applying the uniformly distributed load on the surface of the 30 sides of the middle vertical plane of the hook. Mesh generation, adding constraints and applying surface loads are obtained. 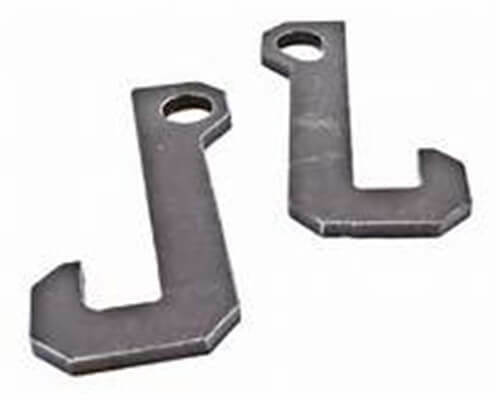 The maximum stress of the hook occurs on the inside of the main bending section of the hook (horizontal section), and the maximum stress is 157MPa. 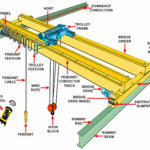 The maximum stress of the main bending section (horizontal section) of hook body is about 87MPa, which is less than the allowable stress 214.84MPa. Hook hook body in the vertical section of the internal stress is larger, as another dangerous section, the maximum stress is about 104MPa. The maximum tensile stress of the straight bar of the hook is 69.6MPa, less than the allowable stress 102MPa., so the actual analysis of the stress value is far less than the yield limit of the material, the stress margin is large, indicating that the hook is very safe and can be optimized. 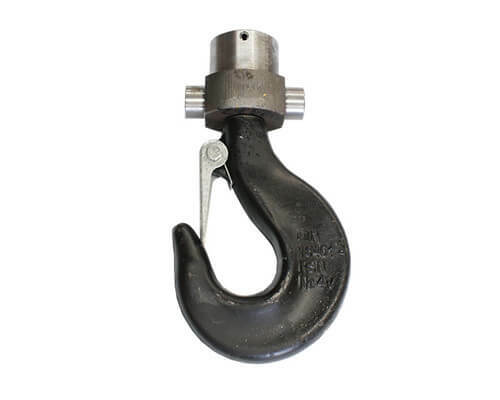 The hook on the hook load optimization force and safety factor requirements are met, the maximum thickness can be reduced and the hook straight shank diameter to optimize the structure and size, the maximum thickness of the horizontal section is reduced from 200mm to 180mm, the maximum thickness of the vertical section is decreased from 170mm to 155mm, shank diameter decreased from 150mm to load 135mm. 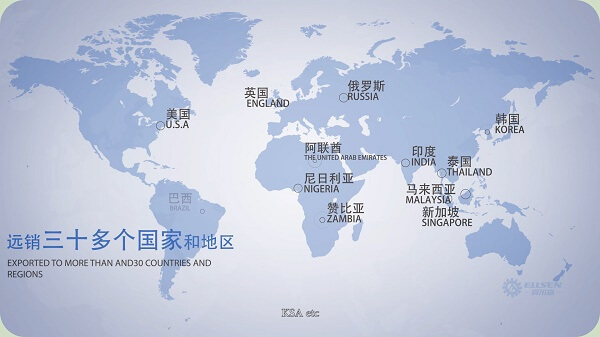 then applied approximately: the optimized hook remodeling, the constraint remains unchanged, the finite element analysis is carried out again. 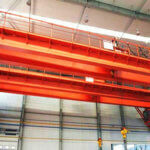 Any needs of our hook crane products, please be free to contact us.